At CPA Group, we commit to the relationship with our partner clients and the communities in which we work. Whether through community health promotion initiatives, local procurement or indigenous participation we try to contribute wherever we operate, in whatever way we can. 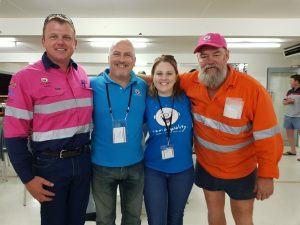 Supporting client initiatives such Rolleston Coal’s recent Camp Quality Auction is but one example. 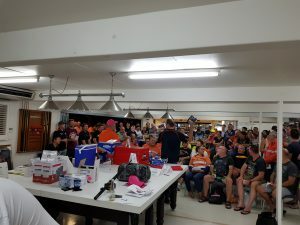 The event was a great success and this year reached a new record, raising a whopping $28,500 from the auction alone. The team at Rolleston Coal really dug deep this year, supporting the event and enjoying a great evening. CPA Group supported the event and donated a 4wd recovery kit for adventure enthusiasts as an auction item. Most importantly, a big thank you to you for contributing to this event. We could not do it without you. In the attached photos you can see the successful event in progress.